NCP Chinatown and NCP Soho are both 5 minutes walk from the restaurant. Piccadily Circus & Leicester Square Tube Stations. 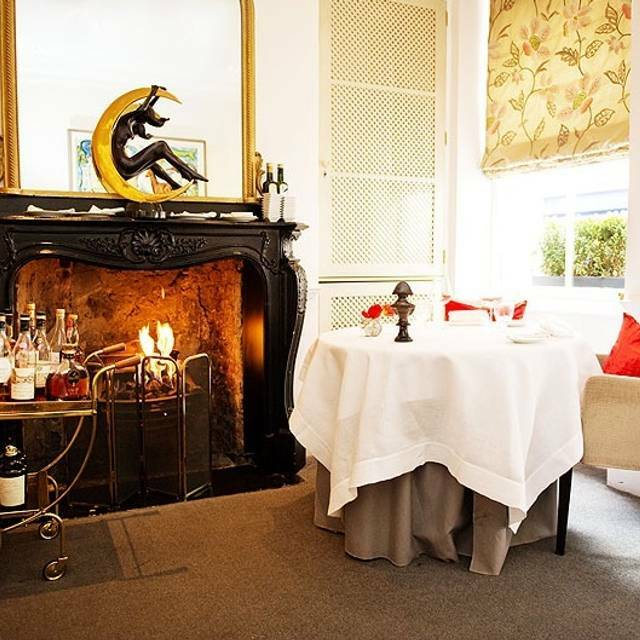 Having earned a star within a year of opening Gauthier Soho, Alexis Gauthier is described by Zagat guide as "...one of the Best New French food destinations in London...". 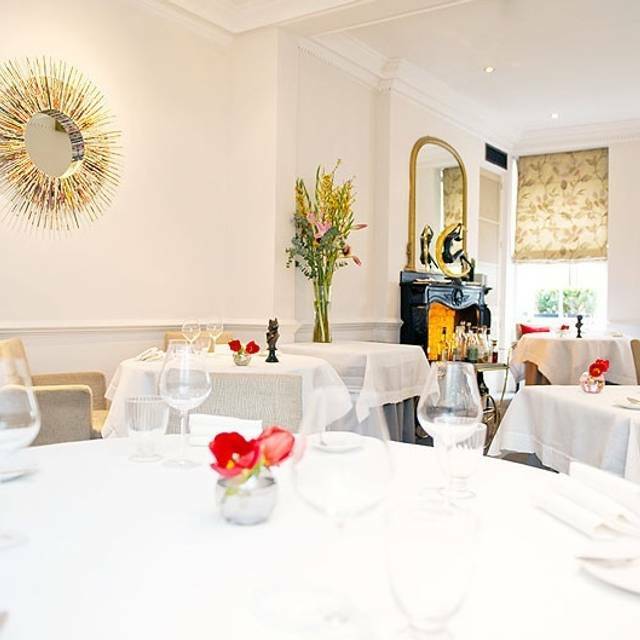 With an emphasis on vegetables in all dishes, Alexis provides a seasonal tasting menu with the best possible ingredients (British where possible) for omnivores and a vegetable option, as well as an A la Carte and lunch option. 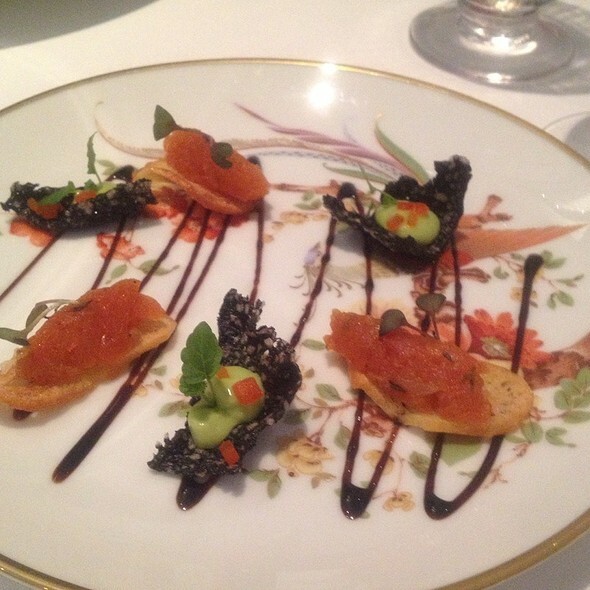 All served in a chic Soho Townhouse where the staff really make you feel special. There are also five private dining rooms for parties of all sizes. 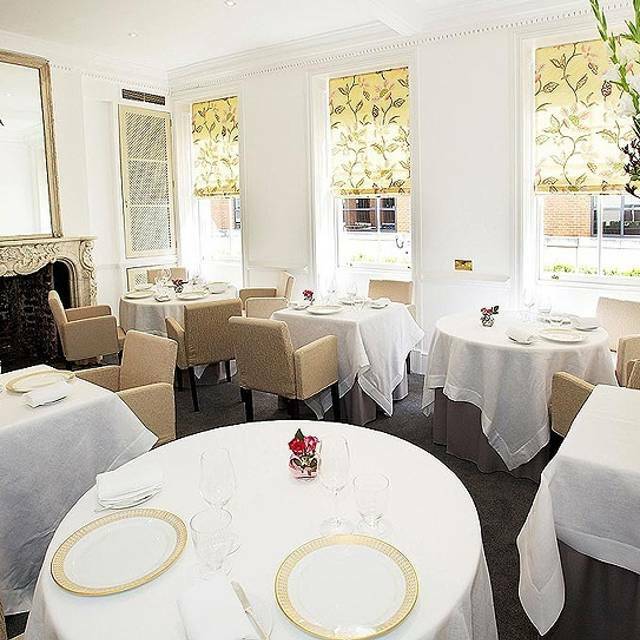 Gauthier Soho offers a memorable private dining experience in the heart of Soho, with five rooms of varying sizes available for special occasions and business meetings. Embarrassingly slow service. Could not provide us all with a menu for 50 minutes. Our party of 6 were in a side room and throughout the evening the host had to get up and find a waiter at least 6 times. After nearly 3 hours they offered us a free bottle but it was too little too late- whilst we waited for the next course. Such a shame as the food was good but we were all fed up and hungry. We declined coffee as we were keen to get home. Two of the party also thought the taster menu was insufficient quantity wise as portions were far too smal. Plante tasting lunch menu was divine, each dish creatively crafted and oh so tasty. Service and atmosphere excellent, so good to be warmly welcomed as a vegan to a French white tablecloth restaurant for a special occasion type of meal. We went for my son's birthday and it was a first class lunch, excellent food and service, and such amazing value in this location, well worth a visit. Muy buena vomida y atención. Un sitio fantástico en el corazón del Soho. 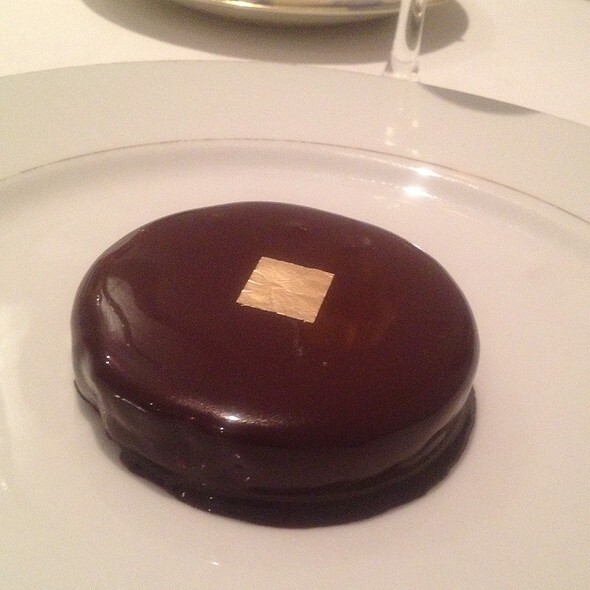 This was my first visit to Gauthier to try the Les Plantes Spring Tasting menu. The food was excellent (particularly the black truffle tortellini and the aquafaba meringue), as was the service. However I didn't feel the dining experience was for me overall. It's very old school and uptight, I felt a bit on edge for the evening. I really feel it could benefit from a contemporary overhaul, embracing the more current trends of laid-back fine dining. A really good example of this I have experienced is a small plant-based fine dining experience in Portland, Oregon called Farm Spirit. I would recommend Gauthier depending on who was asking me - my mum would love it, but I'm not sure I would recommend it to my friends. The vegan tasting menu was incredibly clever and the wine pairings were spot on . The star of the show was the truffle tortellini! The decor is a bit tired now and our table was trapped at the back on the first floor and it felt as if we were in a corridor so so many staff walked past , it became a bit of a bore and took the edge of th evening and the fantastic food. Excellent service and adventurous, delicious food. The food is superb! Every dish is a masterpiece and artfully presented. Unfortunately there are a few niggles. The menus are slow to appear, leaving one waiting a little too long. The champagne aperitif was served too warm and the wine by the glass selection is expensive at up to £16 per glass. There are bottles on the wine list at around £35 and one should bear that in mind is a cheaper option is desired. Unfortunately, Gauthier seems to have got on the list for country folk up for the day in the big city. These red-faced elderly persons are not used to good restaurants and will entertain you with explosive coughing and loud conversations about the exploit of Gemma and Jessica and their large new kitchen! If you spot any of these persons it wise to request another table! This is an outstanding restaurant. 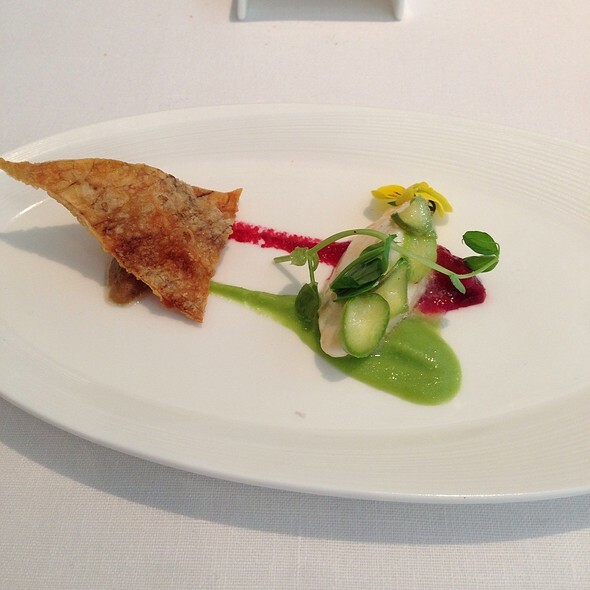 The tasting menus are excellent for vegans/vegetarians as well as non-vegetarians. Service is attentive and generally friendly. The wine list is perhaps a bit limited but overall we had an excellent experience. Will definitely look to return. Gauthier always provides an excellent meal. I do however regret the passing of the canapés usually served on arrival, particularly the parmisan crisps - they were always delicious. Gauthier is a beautiful building with attentive staff. It was elegant and timeless, with quick service that still didn’t make you feel rushed. We had the tasting menu and The food was of the highest quality, the lobster tortellini was divine. My only criticism would be that I found some dishes were much too oily for my palette and so I left much of my chicken risotto as I could not eat it. Also it was a little cool when it arrived. The service was exemplary however I found the staff a little too deferential it was excessive which did not make dining as comfortable as it could have been. The service score is low because one of the waitresses tried to serve bread across the table, the choices were not offered to the ladies first, one of the guests was left standing for ten minutes to wait for a dry chair after a spillage incident, no offer was made for dry cleaning immediately and not enough general care was shown to the distressed party. Please note that it was definitely a complete accident and the waiter was not blamed at all. A discount for the bill was given at the end of the meal but this was felt to be far too late to defuse the unpleasantness and embarrassment moments. However, Gauthier Soho is still one of my favourites and many other very pleasant experience as well. The restaurant is tired/ depressing/ decaying. Michelen star prices for uninspiring, glum, tasteless food. A pointless overpriced experience. Why does this restaurant even exist? It is absolutely beyond comprehension why anyone would chose to waste their hard earned ££ on such a dismal experience. If this is an indication of London Michelen Star Vegan cuisine, i will stick to my favourites. Gauthier is 3rd rate. The food was tasteless insipid and boring. For £100 per head one would normally expect a memorable, positive culinary experience. To add, the main vegan dish tasted of cleaning fluid. This was a truly disappointing, horrible experience. Everything apart from the food was great. We ordered the vegan tasting menu which started of fantastically with vegan fois gras and a great selection of breads. The rest was downhill after that, vegetables undercooked, under seasoned, inconsistently presented between us, tortellini sauce under seasoned, and pastry in the desert too thick & dry, inedible really. 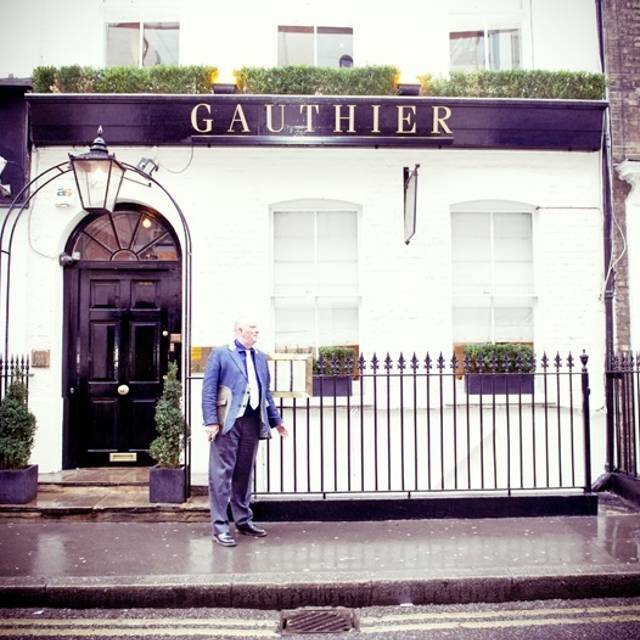 We had heard lots of great things about Gauthier but we were very much disappointed. Courses on the tasting menu (both vegan and regular) were hit and miss. Desserts were excellent as was the faux gras and all the asparagus! Petit fours were tasteless/pointless. The wine service was non-existant. We arrived at 18.23 fro a 18.30 booking and were turned away, not a great start to the evening. Great vegan tasting menu, no complaints, delicious food and unhurried, quiet ambience. Good service. As always we were treated as if we were the only guests in the restaurant which is a rare form of service these days. From the moment the front door was opened until the moment we left we received perfect attention. The food was fantastic and the wine pairings explained by the sommelier with knowledge. Thank you to Alexis and his team. Most excellent lunch in convivial atmosphere. I find it difficult to go anywhere else for special meals. Great as always. Must be the best value high quality lunch menu in London. This was the best vegan food I have ever tasted, actually the best food, vegan or not! My partner said the same. It is also by far the most I have ever spent on dining out, close to double my highest previous spend! However, it was a very special occasion, the food and service was perfection and I would recommend this restaurant to anyone who is willing to spend this much on food! This restaurant was our "first date" restaurant, so when we saw it featured on master chef recently we thought we'd re visit. We've been eating a mostly plant based diet for a couple of years and the chef said he did plant based, so we were interested to try. We were disappointed because the food was not enough. We had the vegan tasting menu. The taste was good, sometimes very good however the wait between courses was long and the portions were not big enough given that they were vegan. Vegan is not as filling so you need a little more. The staff made us feel like we were an inconvenience. The ambiance was better on our previous date as it was winter and night so the fire was lit. I think during the day the room is lacking in ambiance. Also for medical reasons I’ve been advised to not eat gluten or dairy. At some good places this is not a problem and to give them credit they did try to accommodate but it wasn’t very exciting. Dessert was just sorbet. Disappointing. Very nice restaurant food was amazing, unfortunately as there was a police incident we were 20 minutes late, we had telephoned ahead to worn the restaurant but the receptionist never passed it on. They were rude on our arrival and didn't really provide the service i would expect, like pouring wine and water. They rushed out the dishes and it ruined the experience. The food was amazing. First class set lunch with matching wines, this is the best quality/value in London. From start to finish a real treat from the amazing Faux Gras through to the coffee and petit fours. I could not recommend this excellent restaurant highly enough. 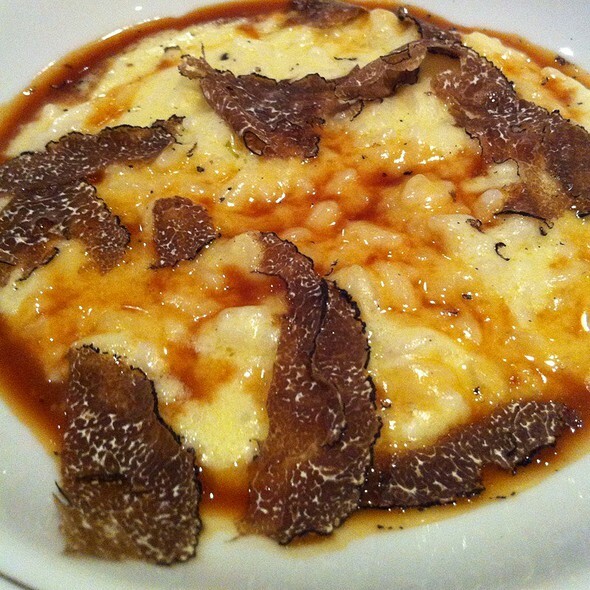 As always, dining at Gauthier is a special experience. The staff are very understanding and helpful and the food was sublime. I particularly enjoyed the amuse bouche which was a beetroot panacotta with tarragon. Gorgeous! I do miss the disco music in the ladies toilet. Please bring it back. Five stars! Our special place for lunch. Never disappoints- outstanding food, interesting wines and nearly faultless service. We shall return. We have lunched here several times. It is brilliant. Lovely quiet atmosphere and excellent attentive service. We think the best lunch option is the deluxe set lunch menu. One glass of champagne three courses and two further glasses of wine. Then coffee and petit fours. But also lots of extras. At least three little amuse bouches. And plenty of bread. And fantastic cooking and presentation. Faultless. All for £50! We had a wonderful lunch with amazing food and great service which made it a very special experience. We will come back again soon! Outstanding as always, been a few times over the years. The recent lunch menu paired with wines was of the same, if not even higher standard than when we first came over 5 years ago. Extremely good value if you stick within the parameters of their set menus. Excellent food, service etc., have eaten here many times and they have never lets us down. Superb! Had a lovely early birthday meal. While I enjoyed the regular tasting menu, I'd especially recommend the vegan tasting menu - very creative and excecuted well! Great food (we had the vegan tasting menu ) but were honestly a bit disappointed by the whole experience. The service was just ok and the food was great but only one dish really stood out (the truffle ravioli, which was just perfect)! Happy about the whole experience but given the price tag I probably won’t come back. Really friendly staff and very knowledgeable. Will return. The food was average for the price paid, the service was poor and no one seemed to know what they are doing. Definitely not in the Michelin league and if you are going to spend that money, it would be better spent elsewhere. Absolutely outstanding. Great ambience and wonderful friendly service. 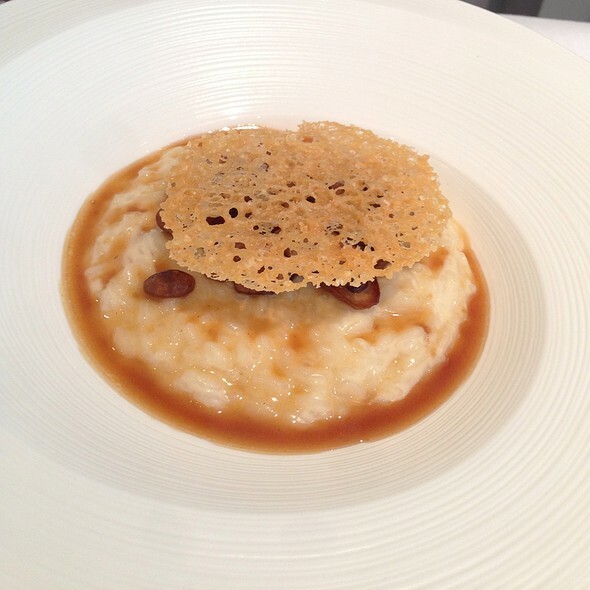 A simple menu with a choice 3 or 4 courses at a fixed price - £60 for 3. Also a full tasting menu and a full vegan tasting menu so a great place to go if you are vegetarian or vegan. The food was stunning and there were also 4 amuse bouche extras (veg fois gras amazing). If you can get a booking - GO!! !